Riding on Rashid Khan's brilliance, once again he came to rescue their side and secure sensational one-run win over Bangladesh in their final T20 game to seal the series 3-0 at the Rajiv Gandhi International Stadium on Thursday. 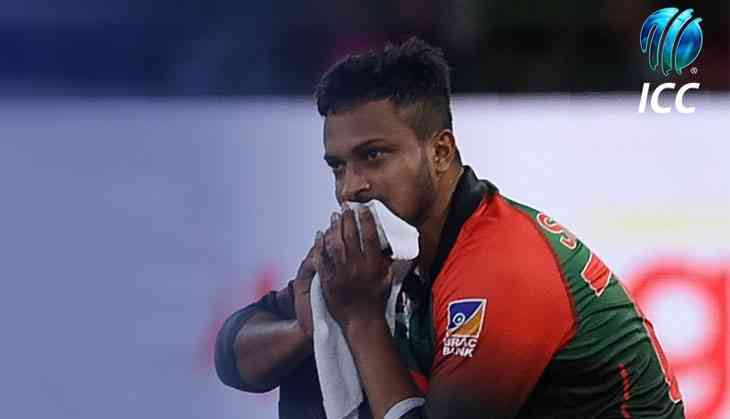 "Going so close and yet falling short is painful" - @Sah75official reflects on a one run defeat that rounded off a disappointing #AFGvBAN series for Bangladesh. As reported in SportsCafe “I have never batted or bowled in those situations so it is hard for me to answer. But yes I think it is a mental blockage that we haven’t been able to overcome till now. It would have been good if we could have won the match but going so close and yet falling short is painful,” Al Hasan said in a post-match interview. “Our performance in the series was not up to the mark. We were found wanting in all the three aspects of the game. In all the three games we did not bat to our potential. We also could have bowled better in the first two matches. The body language and fielding need improvement as it was missing on occasions,” the 31-year-old added. This dance form was created and popularised by Bangladesh during the Nidahas Trophy. This form of dance has trolled for Bangladesh as the Afghanistan players teased them by performing Naagin dance after the emphatic whitewash at the end of game in third and final T20I in Dehradun.After electing to bat first Afghanistan managed to score 145 runs with six wickets down. While chasing 146-run target, Bangladesh were well on the way to register thier victory after senior players Mushfiqur Rahim (46 off 37) and Mahmudullah (45* off 38) together managed to score 84 runs on the board with five wickets down but Rashid Khan single handedly turned the game upside down by defending nine runs in the the final over. Rashid bagged eight wickets in the three-match series with an exceptional economy of 4.45, averaging 6.12. This was the third occasion when Afghanistan won a T20I series by a margin of 3-0. Will Money In the Bank be the debut ground for salwar-kameez clad Indian female wrestler Kavita Devi? READ NEXT >> Will Money In the Bank be the debut ground for salwar-kameez clad Indian female wrestler Kavita Devi?